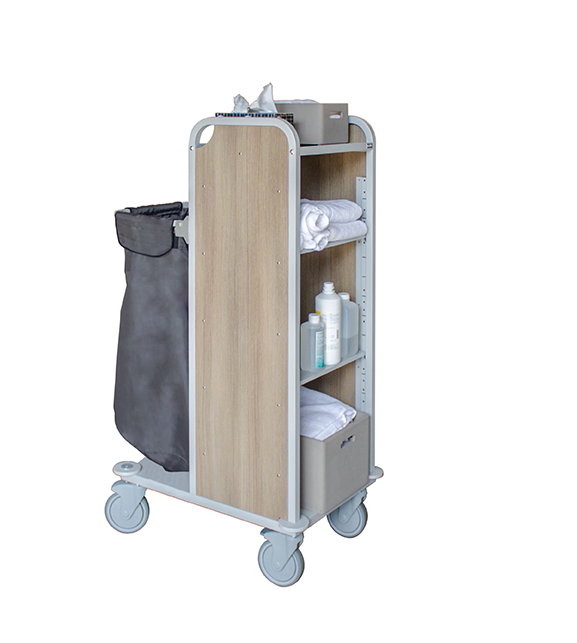 The first cleaning trolley combining functionality, elegance and discretion, PALACENET is available in 4 different color schemes to complement any interior decoration. With lockable shutter. 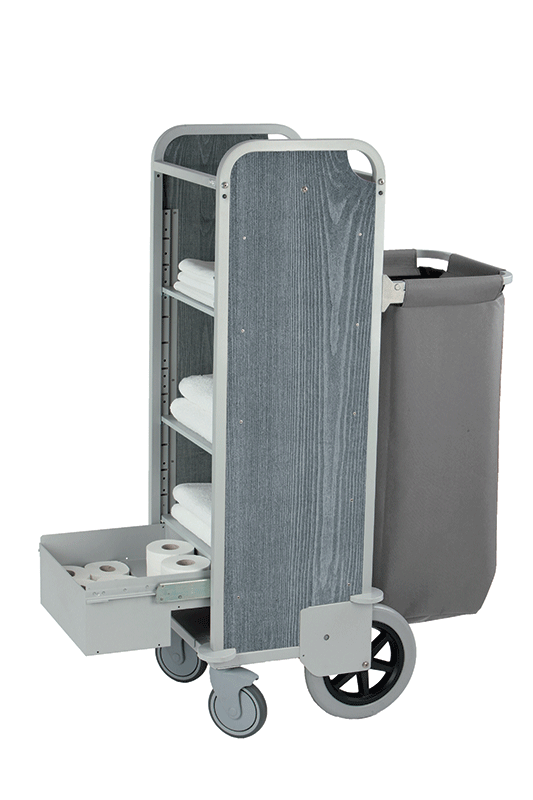 The HALLEY is one of the smallest trollies on the market. 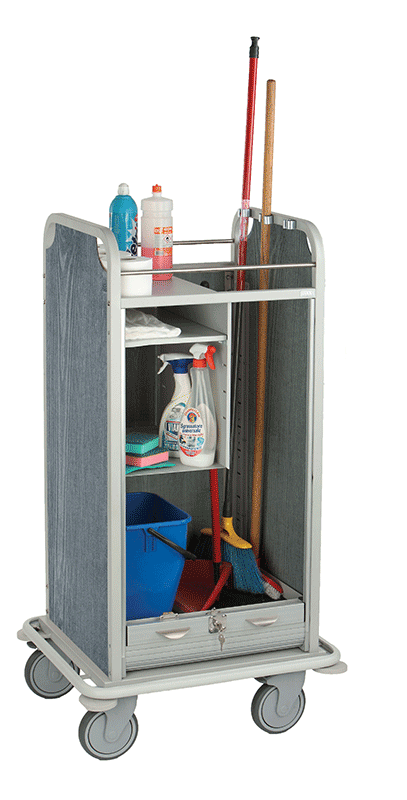 It is less than 60 cm in width and depth, which makes it small, flexible and agile enough for easy access to small spaces.